Bisetti is a brand combining artisanal manufacturing and modern methods. Originating from Italy, near the Strona valley, the first products manufactured by Bisetti were made from wood as was the region's tradition. This brand specialises in tableware and produces utensils in a traditional way, especially turned wood products. All items are entirely made in Italy so quality can be monitored. Bisetti cares about their "Made in Italy" expertise. 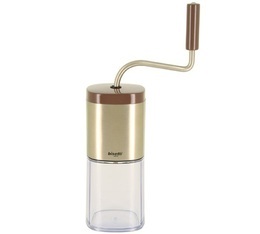 Head to MaxiCoffee for our full range of Bisetti manual coffee grinders.